Why would our immune system turn against our own cells? This is the question that the combined Inserm/CNRS/ Pierre and Marie Curie University/Association Institut de Myologie have strived to answer in their “Therapies for diseases of striated muscle”, concentrating in particular on the auto-immune disease known as myasthenia gravis. Through the project known as FIGHT-MG (Fight Myasthenia Gravis), financed by the European Commission and coordinated by Inserm, Sonia Berrih-Aknin and Rozen Le Panse have contributed proof of the concept that a molecule imitating a virus may trigger an inappropriate immune response, causing muscular function to deteriorate. These results have been published in Annals of Neurology, accessible on line. Myasthenia gravis is a rare auto-immune disease (5,000 to 6,000 patients in France) that produces muscular weakness and exhaustion. It generally affects the facial muscles first, and may then become generalised through the muscles of the limbs or the respiratory muscles, causing respiratory distress. This is due to the production of circulating auto-antibodies that block the acetylcholine receptors (RACh), these neurotransmitters being necessary for transmitting the motor nerve signal to the neuro-muscular junction. 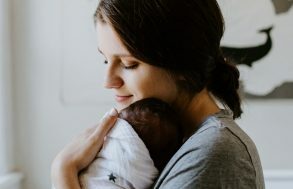 Could a viral infection be the origin of myasthenia? Myasthenia is a multi-factorial disease in which environmental factors seem to play a key triggering role. Viral infections are suspected but it is hard to prove the role of a virus in triggering the condition. In fact, diagnosis of myasthenia is often made months, or even years, after the actual start of the illness when the virus is no longer detectable, even though the signature left by the virus is visible long after the infection. Under the European FIGHT-MG project, the team of researchers managed to decode the trigger for the illness by using a molecule that mimics the RNA double viral strand (Poly(I:C)). To do this, they concentrated on the organ that plays a central role in the disease – the thymus. It is in this gland located in the thorax that the T-lymphocytes mature, these being the key players in immune response that are normally programmed to avoid the development of any auto-immunity. The researchers were thus able to show in vitro that the Poly(I:C) was capable of specifically inducing an over-expression of RACh through thymal epithelial cells, while activating three proteins (the “toll-like” receptor 3 (TLR3), the protein kinase R (PKR) and interferon-beta (IFN-â)); it is this last that produces inflammation in the thymus. 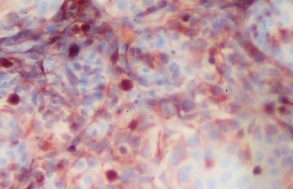 At the same time, they analysed pathological thymus glands of myasthenia sufferers in whom they observed over-expression of these same three proteins in the immune system, characteristic of a viral infection. Finally, the researchers also managed to identify the same molecular changes in the thymus glands of mice, after they had been injected with Poly(I:C). After a prolonged injection period, they also observed a proliferation in the mice of B anti-RACh cells, the presence of auto-antibodies blocking the RACh receptors and clinical signs synonymous with the muscular weakness found in myasthenia. These original results show that molecules that mimic a viral infection are capable of inducing myasthenia in the mouse, something that had never been demonstrated before. 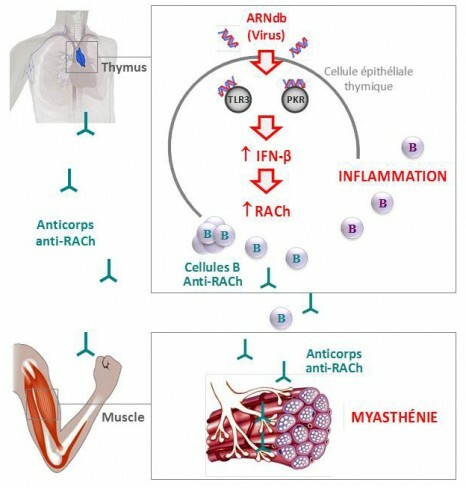 This set of papers published in the Annals of Neurology provides proof of the concept that a viral infection can cause inflammation of the thymus and lead to the development of auto-immune myasthenia. The next stages of the research will consist in determining which exogenous virus this may be or whether it is a case of the abnormal activation of an anti-viral response by endogenous molecules. The introduction of a double strand of RNA (Poly(I:C) into the thymal epithelial cell induces the over-expression of the acetylcholine receptors (RACh), via the activation of the “toll-like” receptor 3 (TLR3) and the protein kinase R (PKR), as well as the production of interferon-beta (IFN-β)). These changes in the thymus gland cause the formation of B anti-RACh cells and the production of circulating auto-antibodies that block the acetylcholine receptors present in the neuromuscular junction. The FIGHT-MG project seeks to determine the genetic and environmental risk factors associated with the occurrence of the illness and its development. The project aims also to identify the key immunological molecules associated with its appearance, and to study the pathogenic mechanisms at the neuromuscular junction, establish new diagnostic tests, as well as new treatments (cellular treatments, immuno-regulatory treatments, immuno-absorption of pathogenic auto-antibodies and other pharmacological treatments). “When one is working on a rare disease, it is essential to work through networking, so as to be able to share our facilities and resources to promote fundamental and clinical research. It is also crucial to communicate permanently with patient associations. It is this combination that enables us to take giant steps in the treatment of rare conditions,” explains Sonia Berrih-Aknin. The “Myasthenia” team, headed by Sonia Berrih-Aknin joined the Institute of Myology directed by Professor T. Voit, just over a year ago in order to get closer to the reference centre for neuromuscular diseases run by Prof B. Eymard, at the Pitié-Salpêtrière Hospital in Paris. The Institute of Myology is an international center of expertise on the muscle and its diseases, a member of the Institute of Biotherapy of rare diseases created by the AFM-Telethon. The Sonia Berrih-Aknin’s team is interested in the etiological and physio-pathological mechanisms of myasthenia and innovative treatments that could improve patients’ quality of life. Even though winning a European project is very competitive, this team has exceptionally been granted three other projects since 2001, and was responsible for their coordination. Sonia Berrih-Aknin was the coordinator of the “Mechanisms of Myasthenia” project (2001-2005) under FP5, the MYASTAID (2006-2010) project under le cadre du FP6, as well as the Euromyasthenia Project (2006-2009) through the European Public Health Directorate. These projects brought a total of more than fifty teams of clinicians, researchers and associations of sufferers in Europe. 1 Unité mixte de recherche – CNRS UMR7215/INSERM U974/UPMC UM76/AIM – Thérapie des maladies du muscle strié, Groupe hospitalier Pitié-Salpêtrière, 105 Boulevard de l’Hôpital, 75651 PARIS Cedex 13 – France. 2 Department of Neuroscience, School of Mental Health and Neuroscience, Faculty of Health, Medicine and Life Sciences, Maastricht University, Universiteitssingel 50, P.O. Box 616, 6200 MD Maastricht, The Netherlands. 3 Département de Chirurgie cardiaque des cardiopathies, Hôpital Marie Lannelongue, 92350 Le Plessis Robinson, France.